The Rock Gym Pro Web/Mobile Dashboard is now live! The Rock Gym Pro Web Dashboard allows gym owners and managers to view real time check-in and sales information within their RGP database - anywhere, anytime - using a phone, tablet or laptop. For multi-location businesses, all information is consolidated into one convenient place with the Web Dashboard. The Web Dashboard is made possible by new “replication” technology included within Rock Gym Pro. This technology allows a copy of your RGP database to be securely stored in the cloud and synchronized in real time to the “master” database stored at your facility. Expect to see many more cool features in the future utilizing this replication technology. 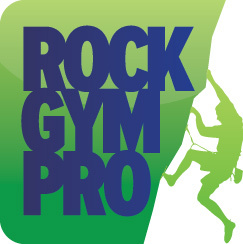 You must be signed up for Rock Gym Pro Premium Support to utilize the Web Dashboard. IMPORTANT! Download and run the MySQL Configuration Utility on your SERVER to optimize your MySQL settings to work with RGP. It is imperative your MySQL settings be properly configured to work with replication. After updating the software, go to Data Entry -> Manage -> Maintenance -> Database Replication and ENABLE replication by checking the box. Once replication is enabled, it will automatically start after the next offsite backup is received by Rock Gym Pro. To immediately transfer an offsite backup, go to Data Entry -> Manage -> Maintenance -> Backup and Restore and execute and transfer a backup. After the backup is transferred, it will take five to ten minutes to process. Once the transfer is processed, activate your Web dashboard by going to Data Entry -> Manage -> Web Dashboard Access. Please review all information and settings within the WebDashboard Access window carefully. Specific settings to pay attention to are your currency, date/time format, and timezone. Once you’ve configured your dashboard, you may want to email your private dashboard URL to yourself so that you have access to it on your phone. And then from your phone’s email application, make a bookmark/homepage icon.